As of 2016, there were 222 million registered drivers on the road in the USA. Having a car is essential for getting round, even in most large cities. Even more so if you’re keen to make like Kerouac and go ‘on the road’ to see what your new country has to offer. Today we’re looking at whether you need a US driving licence, and if so, how to get one. We run through how to register a vehicle. Plus, you’ll find some quick, handy tips about how to drive safely when you move to the USA. If you own a holiday home in the USA that you only plan on visiting a couple of times a year, there’s no need to exchange your UK licence for a US driving licence. However, depending on which state/s you plan on driving in, you might need to apply for an International Driving Permit (IDP) in order to be able to drive legally when in town. Some states expressly require IDPs, others don’t. 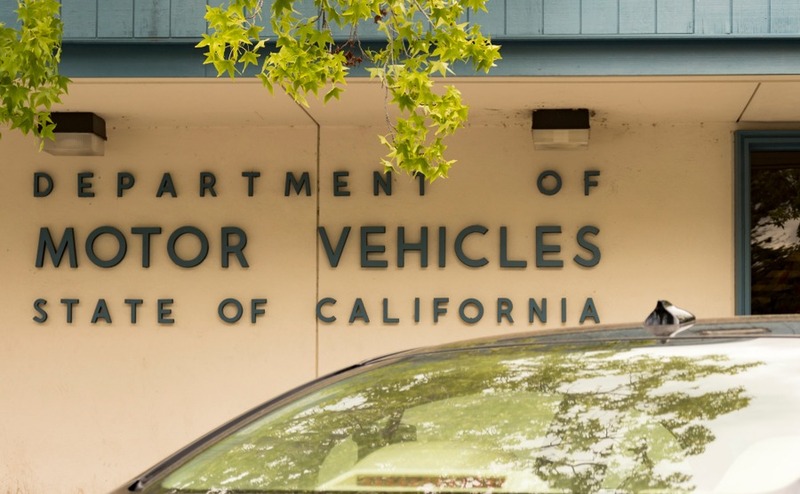 You can check whether an IDP is a requirement in your chosen spot on the DMV’s site. This permit doesn’t work in place of a UK or a US driving licence, instead it’s just a supporting document you must carry alongside your actual licence at all times when driving in the US. Also, if you plan on renting a car while in the USA, you must check whether the car rental company requires an IDP too. Don’t miss your free copy of our comprehensive USA Buying Guide to discover what you need to know about purchasing in the US, including finances and legalities. A couple of important things to note about IDPs. Firstly, you must apply for your IDP before you travel, as they are not valid for use in the country in which they are issued. Secondly, there are people out there selling fake IDPs. Therefore, always ensure you buy yours through a reputable outlet. Also – it is entirely your responsibility to brush up on US rules of the road. Driving on the other side of the road can be tricky – always take things slowly, and have a read of the US road rules before you get behind the wheel. Make sure you know the rules for registering your car and if a US driving licence is necessary. 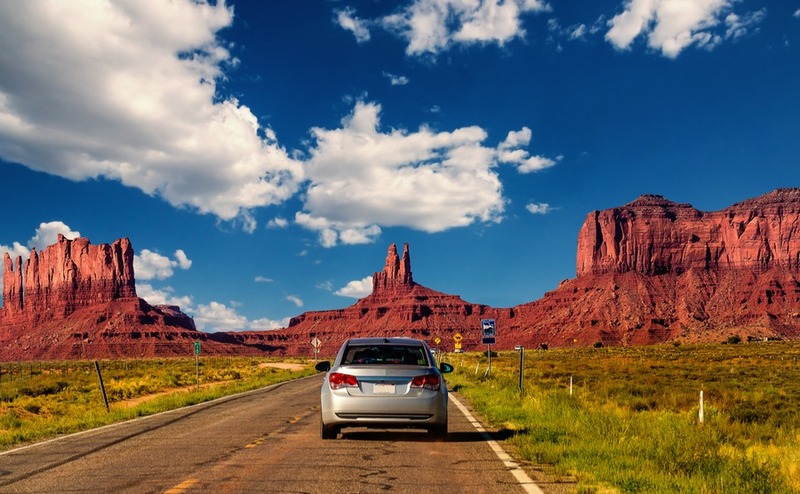 If you plan on making a move to the USA permanently, you need to convert your UK licence to a US driving licence. However, your UK licence will be valid for one year from arrival, as long as you have held the licence for at least one year back in the UK. As is often the case in the US, how you have to approach this process will vary depending on the state that you’re in. While the steps involved are usually relatively similar, there are states where things differ significantly. You must check the rules in your state here. The governing body to consult will be either be the US Department of Motor Vehicles (DMV), the Department of Transportation (DOT) or the Motor Vehicle Commission (MVC). Your UK licence will be valid for one year from arrival, as long as you have held the licence for at least one year back in the UK. In some states, it’s possible to do a simple switch of your UK licence for a US driving licence. If you’re one of the lucky ones, be prepared to present your passport, US social security card, proof of address and proof that you are legally-resident in the USA. You’ll also have to supply passport photos. In some instances, it may be necessary to retake your practical driving test. If this applies to you, we recommend taking a handful of lessons with a local instructor to ensure you’re ready to rock. On the day of the test, you will have to undergo a vision test (much like the number plate reading test in the UK), a short multiple-choice theory test and then the practical exam. Regardless of whether or not you have to retake your driving test, all people who move to the USA should obtain their state’s driving handbook. These are available online and outline all of the specific rules of the road in your new home state. Once the US driver’s licence is yours, you can use it as a valid form of identification. Also, under US law, you are legally-required to carry your licence, motor vehicle registration and your insurance documents in your vehicle at all times. Additionally, your licence will need to be renewed every few years. How many years? You guessed it! The amount dictated by the driving authority in your state. Given the USA is the road trip capital of the world, if you’re the proud owner of a Harley Davidson or a classic car, there’s no chance you’re leaving it behind when you move to the USA. The removals company that you enlist to ship all of your belongings will be able to assist with transporting your beloved vehicle too. Once the vehicle hits US shores, you will need to register it before you can hit the open road. You will need to file the vehicle’s entry into the country with U.S Customs and Border Protection. Your removals company will also be able to do this. This form states that the vehicle complies with US safety and emissions standards. Always check that the vehicle meets these standards before you pop it on the boat. Otherwise, you could be forced to export it again, or to spend a small fortune on fixing it up to the required standards. Do bear in mind that the cost of shipping a vehicle when you move to the USA is considerable. While it will entirely depend on the size and model of the vehicle in question, expect to pay in the region of $2,000+. If you have any questions about moving to America, call your USA property specialists on 020 7898 0549 or send us an email at usa@propertyguides.com. Some states, New York and Pennsylvania for example, allow you to begin the registration process online. This cuts down your wait time at the DMV. We advise embracing this option if it’s available to you. These vary from state-to-state but as a general rule are lower than speed limits in the UK. Good news – the limits are listed in MPH, so no need for quick maths. Limits tend to range from 20mph in residential areas to 70mph on freeways. As the name suggests, you must stop at every single ‘STOP’ sign. Simple. However, stop signs are used where Brits might choose to pop a roundabout or a set of traffic lights. The driver with the right of way is the one who arrives at the junction first. This can be tricky to grasp when there are multiple drivers at the same intersection all waiting to go. Establishing the correct order will soon become second nature. However, while you’re adjusting, hold back and observe where necessary. Stop signs are used where Brits might choose to pop a roundabout or a set of traffic lights. The driver with the right of way is the one who arrives at the junction first. Before you go shaking your fist (or worse) at the car next to you, it’s worth noting that undertaking is perfectly legal in the USA and people do it all the time. While this sounds like the stuff of nightmares, you’ll soon get used to it. Additionally, Americans aren’t super keen on the use of indicators. Always be observant whether driving on a freeway or a country road! The roads are very strictly policed in the USA. Driving under the influence is seriously frowned upon, as it should be. It is illegal to have any ‘open container’ of alcohol in the car. That means no beers for your mates in the back seat. If you’re transporting a corked bottle of wine home from a party, you’re going to need to put it in the boot…or trunk as the Americans call it! US roads have tolls galore, particularly if you’re arriving into a big city like New York or Boston. Additionally, expect to pay for parking, or valet parking, everywhere you go. This means carrying cash and change with you to pay tolls, to feed the meter, or to tip the valet at the drop of a hat.